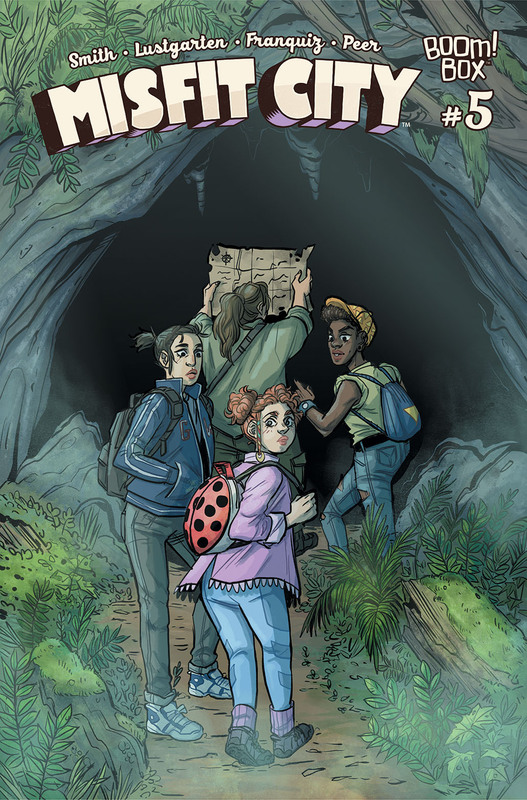 The critically acclaimed MISFIT CITY, from screenwriter Kirsten “Kiwi” Smith (Legally Blonde, 10 Things I Hate About You), co-writer Kurt Lustgarten, and artist Naomi Franquiz, kicks off its climactic second story arc in September as the hunt for Black Mary’s treasure reaches a dramatic conclusion, BOOM! Studios announced today. With critical acclaim from all corners, including Entertainment Weekly’s “Must List,” MISFIT CITY is the newest smash hit from the innovative BOOM! Box imprint of BOOM! Studios. MISFIT CITY is the story of Wilder and her friends, whose hometown is where they filmed that cult kids’ adventure movie in the ’80s. Nothing ever happens there, until one day they come upon a centuries-old treasure map drawn by the infamous pirate Black Mary, launching a life-imitates-art adventure in the town they all dreamed of escaping. Print copies of MISFIT CITY #5, which kicks off the second story arc, will be available for sale at local comic book shops (use comicshoplocator.com to find the nearest one) or at the BOOM! Studios webstore starting September 20. Digital copies can be purchased from content providers like comiXology, iBooks, Google Play, and the BOOM! Studios app. Retailers, please note MISFIT CITY #5 has an FOC date of August 28 and on-sale date of September 20. Fans, place your pre-orders with your local comic shop by August 28 to guarantee your copy of MISFIT CITY #5. The issue comes out September 20. MISFIT CITY VOL. 1, a softcover collecting the first four issues, is also available for pre-order and comes out in December. MISFIT CITY is an ongoing release from BOOM! Studios’ critically acclaimed BOOM! 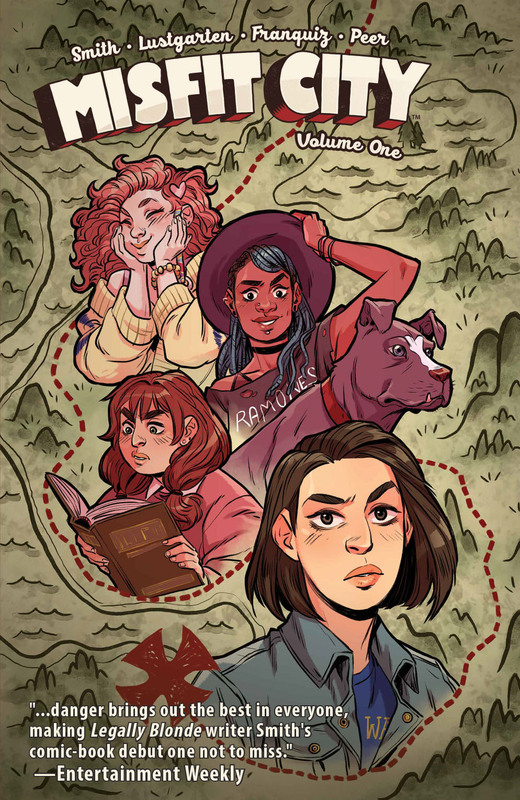 Box imprint, home to popular original series such as Lumberjanes by Shannon Watters, Grace Ellis, Brooklyn A. Allen, and Noelle Stevenson; The Backstagers by James Tynion IV and Rian Sygh; SLAM! by Pamela Ribon and Veronica Fish; and Goldie Vance by Hope Larson and Brittney Williams. and follow @boomstudios on Twitter.